When it comes to web development, there are an overwhelmingly large number of programming languages to choose from. For an up-and-coming programmer, it can be a hard decision on which language to learn first. Assuming the programmer already has a rudimentary understanding of how websites are structured (including HTML and CSS), there are a few programming languages for both front-end and back-end development that stand above the rest in terms of popularity and usability. 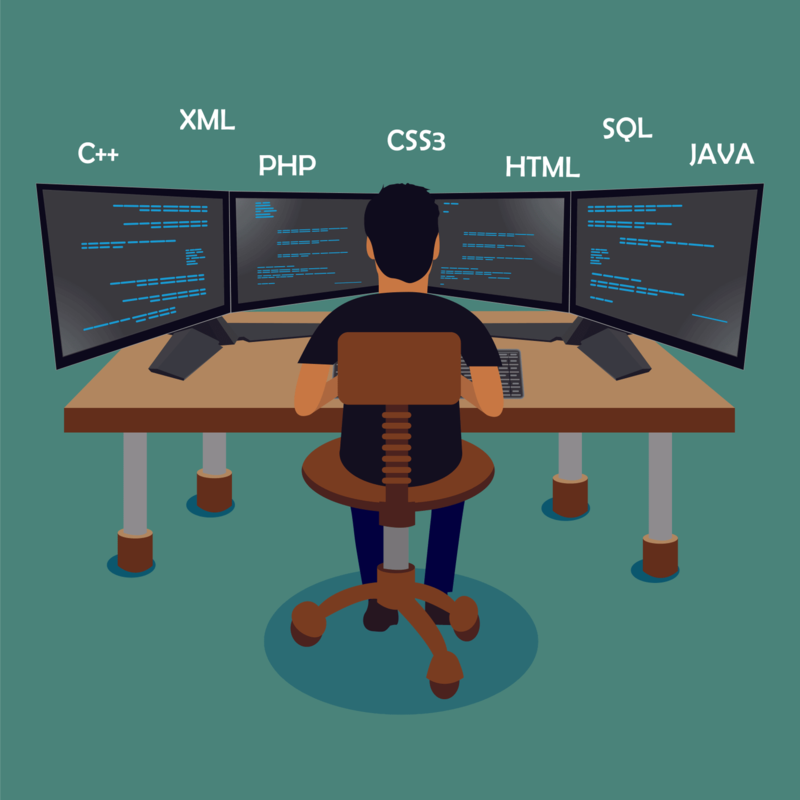 For that reason, knowing at least some of the Top 5 programming languages on our list is essential for anyone serious about a career in the web development field. One of the most widely used and versatile languages on the list is Java, originally created by James Gosling, Mike Sheridan, and Patrick Naughton at Sun Microsystems in 1991 and released in 1995. Its original use was meant to be for interactive television, but at the time, it was too advanced for the digital cable industry. In the modern web development arena, Java dominates on the server side of websites with high traffic (about 82% of sites running Java are high traffic), and reportedly has around 9 million developers worldwide. It is platform independent (i.e., the code can run on all platforms that support Java without any recompilation), meaning its usefulness is nearly boundless. Java’s reach spans much further than just the web, too; it serves as the backbone for most Android applications, and the popular sandbox game, Minecraft, was built on the Java platform. PHP is an open-source server side language originated by Rasmus Lerdorf in 1994 to maintain his personal website, extending functionality from the C programming language to communicate with web forms and databases on his site. It has since evolved into a full-fledged language that runs on more than ¾ of the web’s top sites, including web giants like Facebook and WordPress. Because of its unconventional beginnings, PHP did not have a formal specification or standard until 2014, when work began on making an official specification. PHP is very useful because of how easily it integrates with HTML on the front end and various web content management systems and frameworks on the back end. It is a good choice for someone with limited development experience looking to get hired, due to its use on many startup business and e-commerce websites. Python was developed in the late 1980s by Guido van Rossum, who had previously worked with the ABC programming language (on which Python is based). He wanted to take the opposite approach to ABC by offering a smaller core language with a large standard library. The language’s name comes from Monty Python’s Flying Circus, of which Rossum is a fan. One of the main principles of Python is an emphasis on readability and conciseness of code; programs written in Python usually have fewer lines than in languages such as C++ and Java. Several implementations of Python are used in web applications, both back-end and front-end. The language is preferred by many programmers because of its flexibility, ease of use, and compatibility with both Linux and Windows servers. C++ is a very powerful object oriented language developed by Bjarne Stroustrup in the early 1980s as an extension to C that would have many high-level features that C lacked, such as classes, operator overloading, and inline comments. Though C++ is used extensively in desktop applications and video games, it also has seen much use in e-commerce applications, search engines, and other back-end web systems. C++ has capacities for both low-level memory manipulation and high-level object-oriented programming. 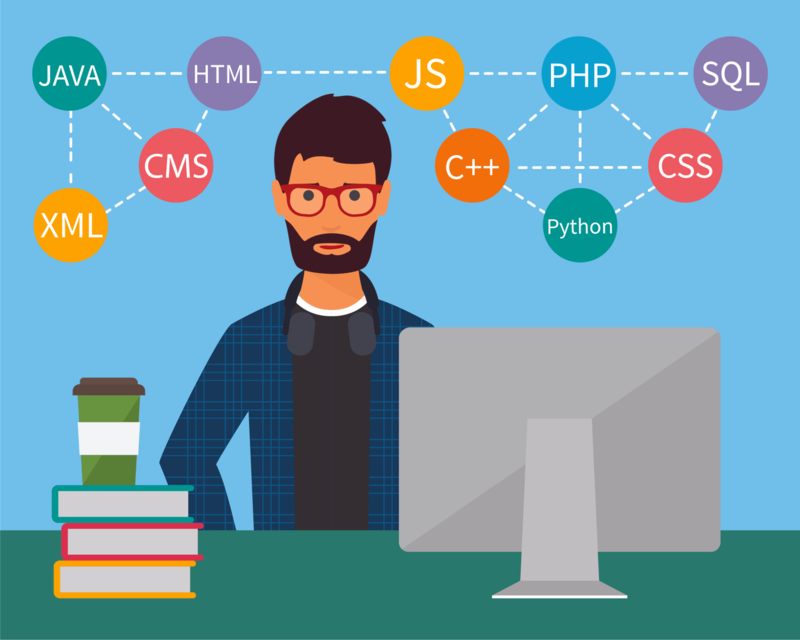 Like its predecessor, C, which is still widely used for system software and operating systems, C++ has influenced various modern programming languages, such as Java, C#, and D.
While this is not an exhaustive list, these 5 programming languages will most certainly be encountered by anyone looking to make web development their career path. Mastery of all of them is not required; most professional programmers focus on just one or two languages, becoming proficient in them. Since most of these languages also carry over into non-web applications, they are a useful tool for aspiring programmers in many fields.